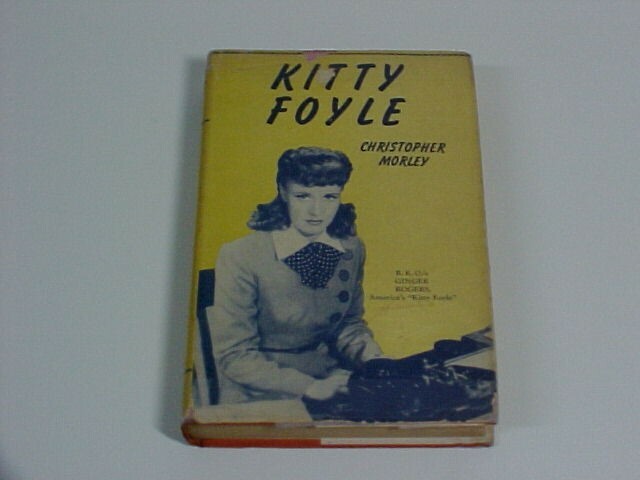 Kitty Foyle by Christopher Morley was written in the 1930’s and rated one of the best of 1939. I think what surprised me most about this story was that it was written by a man. I say this because the story is composed of the thoughts and feelings of the main female character, Kitty Foyle. Perhaps you have seen the movie. I did. That is partly why I wanted to read the book as I love the movie. The book didn’t thrill me as much as the movie did though. I got lost in some parts of it because much of the terminology of the times was so very foreign to me reading the book in 2011. The story is a familiar one in that it tells of a girl from the wrong side of the tracks who falls in love with a young man of blue blood heritage. The entire book is a woman caught in memories of the past who takes 340 pages to make up her mind about her future. Much of the book was tedious for me to read. What I did find interesting was the fact that in the book, pregnant, unmarried Kitty has an abortion when she discovers the man she loves in betrothed to another. The movie made in 1940, a year after the book was published, has her give birth to a stillborn son. It’s funny how times and morals change. Back when the movie was made, the topic of abortion was taboo. It would be interesting to see someone take this story and make it into a movie in our times as they would be able to be true to the original story. The story takes place in Philadelphia, New York, and Chicago. I especially enjoyed the references to places in Chicago, my home town, as the book is very descriptive. If you read the book, look for the cute rhyme in it for remembering the order of the downtown Chicago streets. It’s a keeper! This entry was posted in Uncategorized and tagged 1939, Books, Foyle, Morley. Bookmark the permalink.